A California garden filled with poppies is a can’t miss proposition. What’s not to like about their delicate petals and bright colors? If there are any objections to the question, please press the flowers button and consider other types of flowers that might please the eye. For those poppy enthusiasts staying, the annual and perennial types of poppies available for flower gardens vary in color and growing conditions. 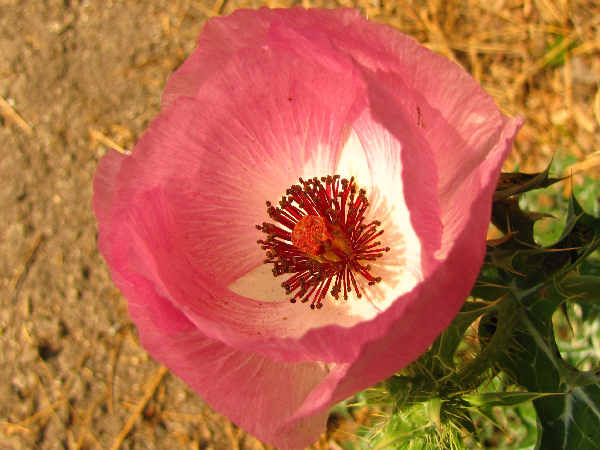 Most species grown in gardens are native poppies, with poppy diversity richest in the west, and especially California. Depending on the species and planting schedule, colorful flowers can bloom from early spring through late fall in gardens and wild spots across the state. As with other flowers, poppy popularity translated into a variety of other non-native poppies being introduced into gardens. 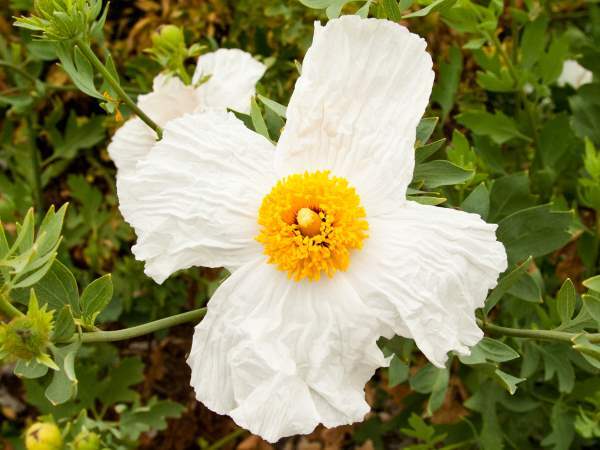 Here’s a list of seven types of poppies that will be a hit in most California gardens. It starts with the picture at the top of the page, the basic red or corn poppy (Papaver rhoeas). Introduced from Europe, it gained popularity as a symbol of war and peace. It now grows wild and in gardens across many areas of North America. The presentation highlights poppy species from additional genera that also find a corner in many gardens. 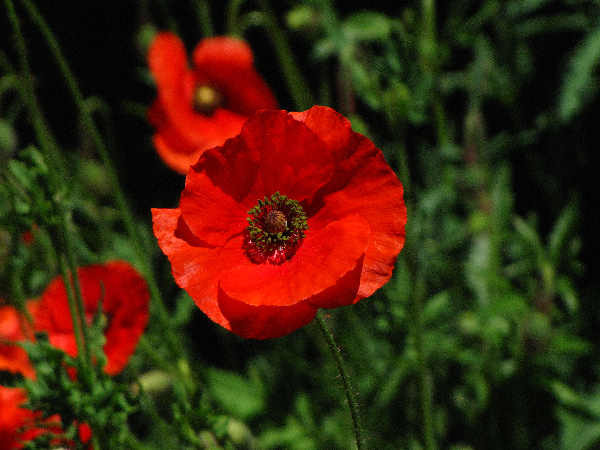 Giving a Latin name to a group of poppies does little to simplify a poppy presentation. Formally the Eschscholzia genus of poppies tend to all be called California Poppies because they all are native California flowers. The California Poppy (Eschscholzia californica), the California state flower pictured, extends its range across most of North America. They grow in large bunches, often covering a field in a swath of orange during peak blooming season. They can be grown as annuals or perennials. Of course, as the perennials, once planted they set the homeowner up for continuous bloom, year after year. No muss, no full, no bother, all color. 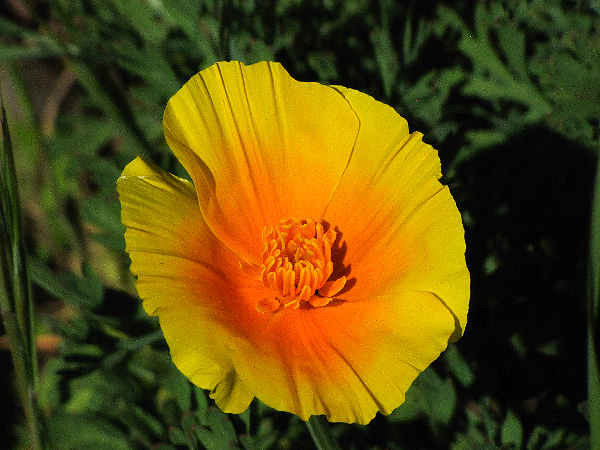 In the southern areas of the state, the Desert Poppy blooms and can add some depth to the native poppy garden. 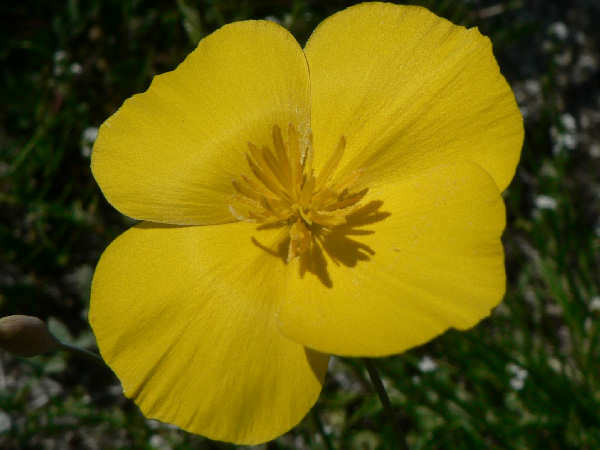 Growing up to six feet in height, the California Tree Poppy, also calledd the Matillija Poppy, is an endemic plant that grows along coastal areas and scrub lands. The white petals can grow one-half foot in length, making it a very showy plant. 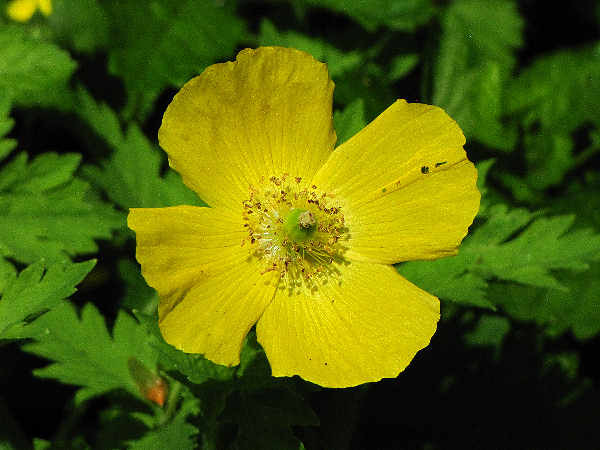 While California supports a variety of healthy poppy populations, the northern part of the continent also hosts the wood poppy (Stylophorum diphyllum). Sometimes they are labeled as Celandine poppies, and their delicate yellow flowers look nice during the spring bloom. Further north the Arctic Poppy (not pictured) blooms. Wood poppies are appropriate for many of the wooded areas of California that fall in the USDA Zone 4-9 range. They make good ground cover. Prickly Poppies (genus Argemone), another wide spread native poppy genera, with over one dozen species. The picture shows a red prickly poppy (Argemone sanguinea), also called a rose prickly poppy. 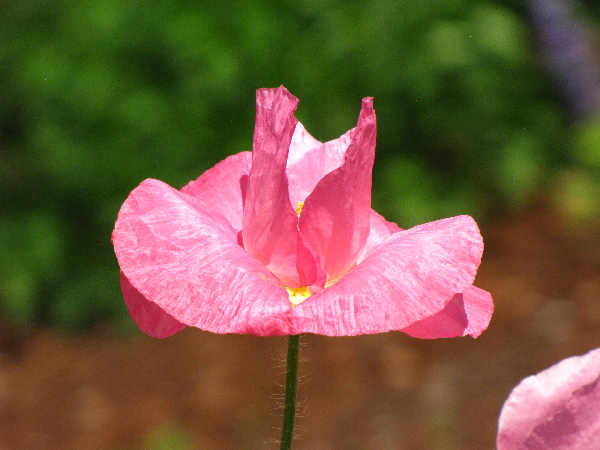 These types of poppies grow in USDA zone 9 hardiness zones. They are a great addition to gardens across Southern California. The nickname prickly refers to the plant’s production of small spines to cover its leaves, stems, and fruits. All California gardens are suited to Oreintal poppies. Their large red petals make they a popular growing choice. Turns out that getting them established in a garden is usually the most difficult growing task. Otherwise, they are hardy perennials that bloom like clockwork in late spring and early summer. As a Middle-east plant in origin, it’s logical that the plant needs sunny, well-drained soil, and occasional water to thrive. Add support if the plant grows exceedingly tall or the flower heads will droop. Starting from seed means a two year wait for flowers. Those in a hurry can purchase starter plants. After the growing season ends, trim the dead leaves and flower head if you do not want to naturally reseed, mulch for winter, and the growing cycle should start again in the spring. One final note for all California gardeners. 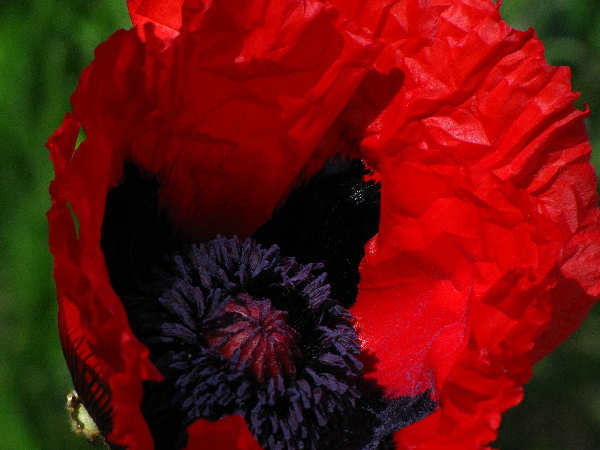 Seed packs are commercially available for raising multiple color poppies. Here’s one example of a commercial pink poppy.